During the fall and winter down here in Texas, ruby red grapefruit is in season. I just love the color and taste — that bright red juiciness. They are deliciously sweet. 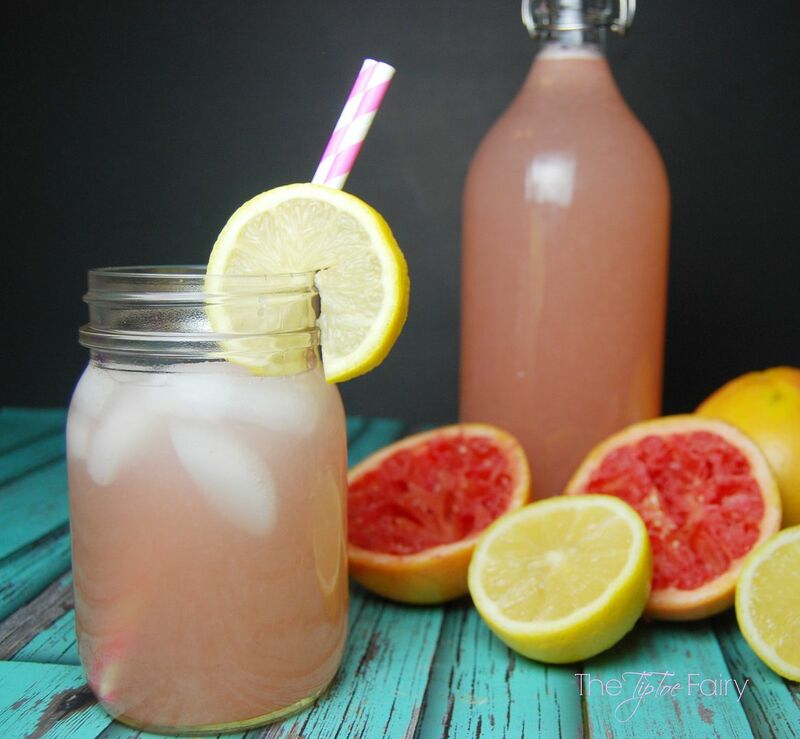 One of my favorite things to drink is grapefruit juice. I usually have a carton in the fridge or when I can buy a huge bag of ruby red grapefruits, I love to make it freshly squeezed. Everybody else in my family thinks I’m nuts. They love orange juice, which is fine by me. Nobody ends up stealing my grapefruit juice! 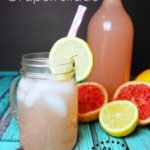 After making orangeade and blood orangeade earlier this year, I wondered how grapefruitade would taste. For my birthday back in September, I spent a day at Ikea, driving Nate insane, lol. But, I found these great bottles. I was so excited to pull one out and fill it with grapefruitade. Since “ades” are juice with added sugar syrup, I decided to cut the sugar and use sucralose — which is Splenda. 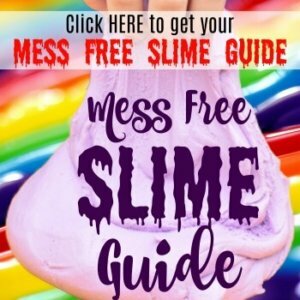 It’s simple to substitute because you use the same amount as you do for sugar. 1 cup sugar = 1 cup of sucralose. Normally, I find sucralose to be much sweeter than sugar, so I tend to use less. Since this was grapefruit, and it can be rather sour, I figured the same amount would do the trick. I like to make the simple syrup in the microwave because I’m lazy and don’t want to stand at the stove stirring. I use a glass Pirex pitcher and mix 1 cup of sucralose with 1 cup of water and heat it til it boils, which is about 4-5 minutes. Then, I let it cool down before I add it to the juice. I have to say this was delicious. I chilled it for a couple hours and then drank it with dinner, and it was so good — just the perfect sweet and sour combination. I’ll be heading to the grocery store to grab another bag of ruby red grapefruits to make it again soon. 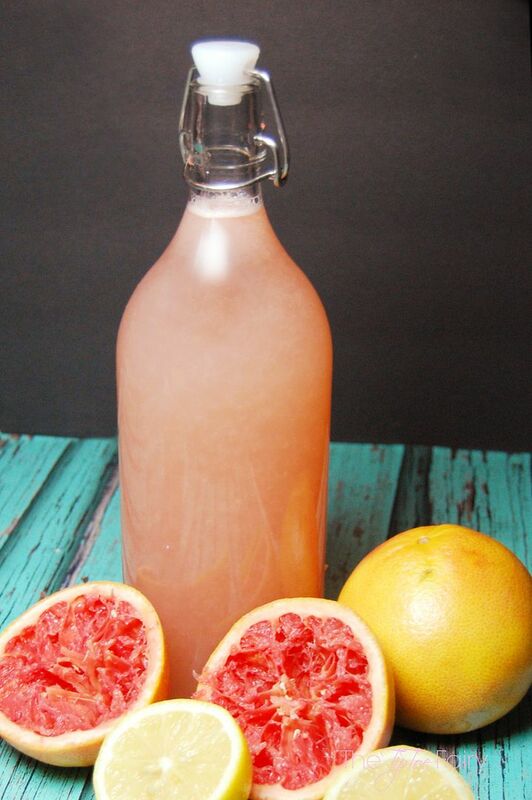 An easy and delicious recipe for grapefruitade made from Texas ruby red grapefruits. And to cut the sugar, it’s made with sucralose instead of sugar. Combine sucralose and 1 cup of water. Heat in the microwave for 4-5 minutes until it reaches a boil. 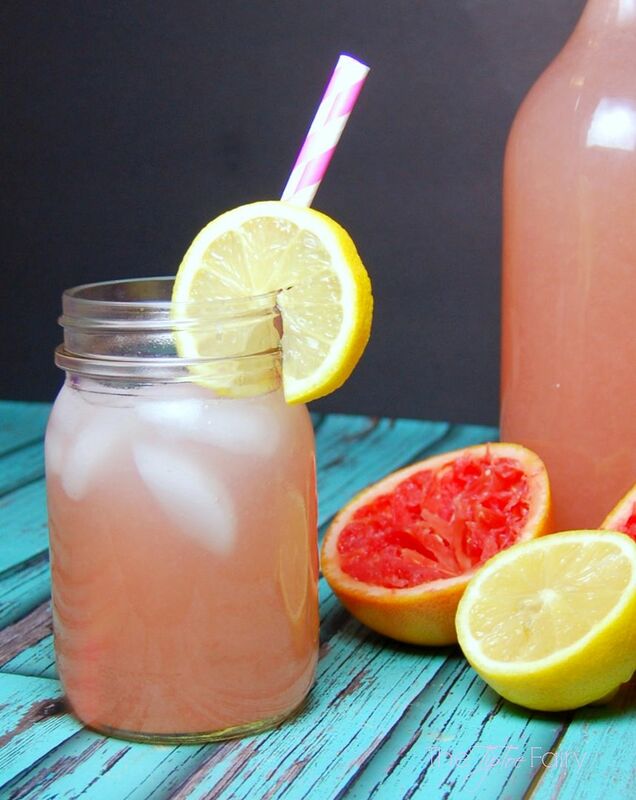 In a strainer, juice all grapefruits and lemon to measure around 2 cups. Make the simple syrup and allow to cool for a few minutes. Transfer to a pitcher or bottle. Once the syrup has cooled, combine with juice. Add an additional 3-4 cups of water. That sounds SO good. I love grapefruit!! That looks super refreshing. Grapefruits are one of my favorite fruits. I never liked grapefruits until last week.. and i only ate the red kind.. i am a big fan now. That just made me thirsty. That looks so yummy! I’ve never heard of sucralose, but I’m going to check it out! That looks refreshingly delicious. I think I might make this for Thanksgiving breakfast to have something healthy before we fill ourselves with heavy foods. I should have kept the two grapefruit I was sent.. This looks tolerable. You are so creative! 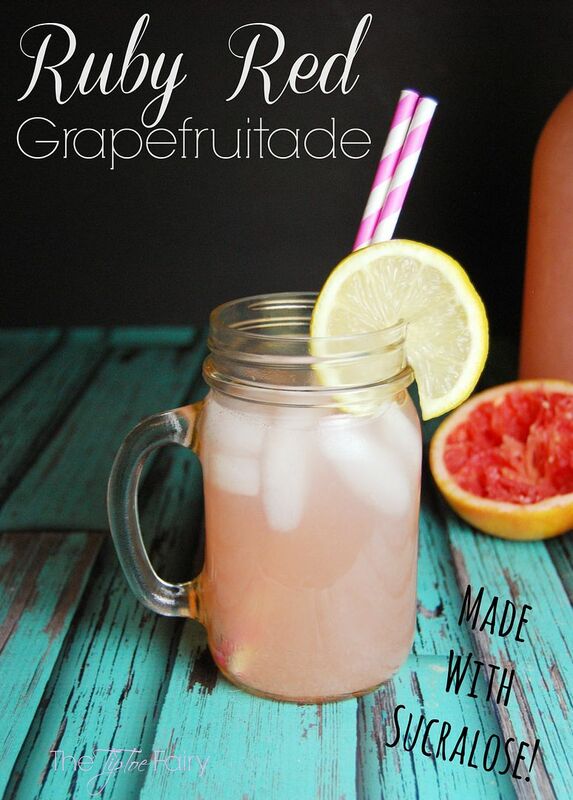 Love your pictures and I want some grapefruit juice. 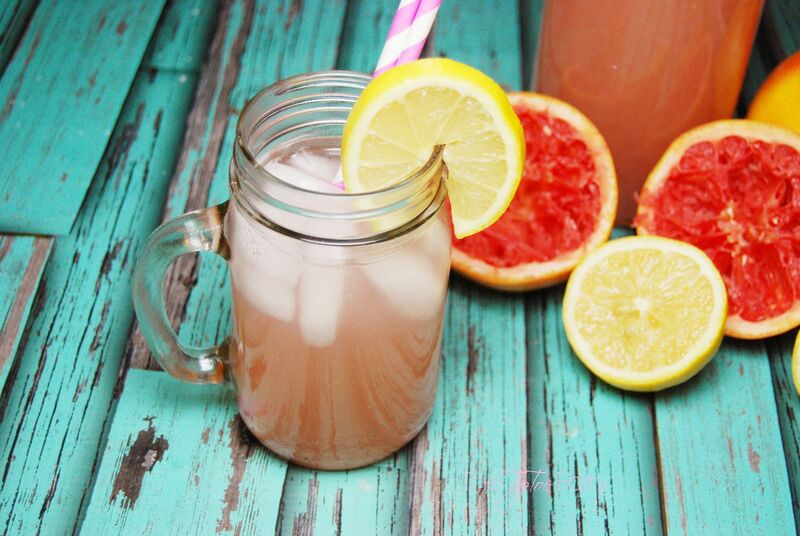 I am not a fan of grapefruit but I love the pitcher that you served it from. Thank goodness the closest IKea is over an hour away last time I checked. I’ve been to the Frisco store once. I was impressed. Yum! This looks and sounds amazing. I love grapefruit. I will have to make this. I’m not usually able to handle the tartness of grapefruit. It always smells delicious, maybe with sucralose it would taste better to me? When I was a kid, grapefruit was my favorite fruit! This is something I’d love to taste! I’ve never heard of anyone doing this before. My brother would love it! I really love me some grapefruit juice. I have a juicer and I juice it in the morning. I miss Texas, this sounds amazing! This sounds really good and I will have to make this drink for sure. Thanks for the recipe. I bet that is yummy. I have to try it.